Vugar Gashimov recently gave an interesting interview at Crestbook. He goes into detail on what happened at the end of the World Team Championship in Turkey, where quick draws with the US left the Azerbaijan team without medals. Kuzmich: Vugar, hi! A question that no doubt many want to ask you – why were you not selected for the last round of the World Team Championship? Gashimov: To my great surprise my health simply didn’t allow me to play in that match. It all started with the match against Egypt, when after two losses I asked to be left out as it was a good situation – we were playing a weak team and I wanted to recover and play all the matches at the end. I thank my teammates – Shakiyar, Gadir and Rauf who understood my situation and supported me, but we were all amazed by the captain’s decision. He said that despite everything I had to (!) play. He explained it in various ways, and later gave the very odd response that it would have meant Teimur having to play black for a second game in a row – and as a result he put me down for that disastrous match, which was the root of all our problems. In the end I lost the third game in a row and was knocked out until the end of the tournament. Everyone no doubt saw how I played against Kotronias in the penultimate round. I really wanted to help my team to win a medal on this occasion, as I helped win the gold for my country at the European Championship, but I was totally out of sorts. What I felt at that moment, only God can know. By the way, for just the same reason Radjabov also didn’t play in the last round against the Americans. A-Kalinichev: Good day, Vugar! Why was the Azerbaijan team so peacefully inclined in the final round of the world championship against the USA? After all in the end you failed to even win bronze medals :( ? Gashimov: The players weren’t peacefully inclined against the USA and understood perfectly that a draw would give us nothing. phisey: How do you get on with the trainer of the Azerbaijan chess team? Gashimov: If by “trainer” you mean Zurab Azmaiparashvili, then I don’t. I can definitely tell you that in Serbia and in Turkey I saw two different people. Valchess: Is it true that the leading members of your team had a conflict with the captain Zurab Azmaiparashvili (connected to the much discussed events at the finale of the recent team world championship)? In general I heard the opinion that appointing a man who holds the post of FIDE Vice President as the team captain of another country doesn’t look very natural (also in terms of a conflict of interests in a hypothetical dispute). Or can only a figure of such status, possessing (they say) a strong and authoritarian character, cope with preventing the “egos” of the ambitious Azerbaijan GMs getting in the way of the common goal? Gashimov: Yes, it’s true. There are various opinions, it all depends on concrete situations. As I already mentioned in Serbia the team didn’t experience any problems as there was unity. In Turkey we had the same unity until the match with Egypt. And then the Azerbaijan team was a shadow of itself. 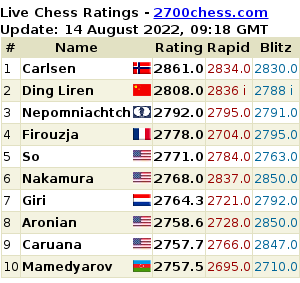 The Azerbaijan team really does have ambitious GMs who are prepared to win every match and win tournaments. But to achieve that we need to get rid of pressure and interference from particular figures on the sidelines, which is a job for the Azerbaijan Chess Federation and the Ministry of Sport.